This spring, government will work to revitalize B.C.’s environmental assessment process. Government will table terms of reference and engage industry, Indigenous Peoples, and communities in the coming months. The BC government’s speech from the throne reiterates similar commitments in Minister George Heyman’s mandate letter and the BC NDP’s confidence and supply agreement with the BC Greens. These promises put BC at the doorstep of a major opportunity to transform the way we assess and plan for development activities in the province, in order to better align provincial decisions with the needs of ecosystems, the vision of BC communities, and the exercise of jurisdiction by Indigenous nations. It’s about time, because our current approach to assessment and planning in BC is not working. West Coast’s new backgrounder, Why it’s Time to Reform Environmental Assessment in British Columbia, takes a hard look at some of the problems that need fixing. Here’s an overview of a few of the key shortcomings in BC’s current EA regime, which should be front and centre in the upcoming reform process. BC’s EA process is allowing cumulative effects to harm lands, waters and communities. The failure to address cumulative effects in a rigorous manner is one of the most concerning shortcomings of the various environmental assessments that I’ve been involved in. This failure is leading to a fractured landscape in the Elk Valley. Wildlife populations are on the decline, water quality is on the decline. When we try to raise the broader issues about cumulative effects, or selenium, or fish habitat in an environmental assessment, it’s always written off as if those are being dealt with in other ways and it’s not part of the assessment. But the issues are not being properly dealt with anywhere, and it’s causing real damage. For instance, BC’s Auditor General recently singled out the lack of effective provincial oversight as a cause for degradation of water quality in the Elk Valley, particularly due to high concentrations of selenium from coal mining. In another example, a recent report co-authored by a provincial government scientist found significant declines in grizzly bear populations in the Elk Valley, linked in part to concentrations of human development in close proximity to very good bear habitat. West Coast’s analysis indicates that we sorely need new legal requirements for regional assessments and higher-level planning to set “big picture” management objectives at the ecosystem or regional level, which are legally required to be integrated into project-level assessments and other natural resource decision-making. This is currently a glaring hole in BC’s EA regime. BC’s EA regime fails to meaningfully engage and inform the public. The current legal regime for EA only requires, as a matter of general policy, that an assessment include two public comment periods, which may be reduced to one comment period at discretion of the BC Environmental Assessment Office (EAO). The existing regulations put primary responsibility on the proponent to conduct a public consultation program, and present information on its activities to the EAO for review. This is problematic because the proponent has a direct interest in the outcome of the assessment, so members of the public are often rightly cautious that opportunities for their participation, and how their input is portrayed, will be limited or framed in a way that best serves the interests of the proponent. I couldn’t get access to the information I wanted. As a member of the public, I had no access to the environmental assessment working group and there are lots of documents from the working group that were not available to the public, which I’m very concerned about. The website was an obstacle that made information difficult to locate and access. The public was cornered into providing comments in a limited way, and we had absolutely no indication how our comments would be taken into consideration. I felt that public input was totally devalued and discarded in the assessment. And I had no recourse. BC’s EA regime lacks transparency, accountability and credibility. There are a number of structural problems that plague the transparency, accountability and credibility of BC’s EA regime; we’ll just profile a couple here. The draft application information requirements are initially prepared by the proponent… The Application Information Requirements outline the issues to be addressed in the assessment and the information that the proponent must include in the application. After EAO issues the application information requirements, the proponent proceeds with completing the studies and compiling the required information. As part of its application, the proponent must also prepare a report on the public and First Nations consultation activities that they have completed and how they plan to consult during the review of their application. It feels like the fox guarding the henhouse. Maybe these companies are doing a really good job, but how do I have faith that they are? There’s a lack of rigorous government oversight. A second key problem is that there is virtually unlimited political discretion to decide on the ultimate outcome of an EA, with no criteria to require that the decision-maker demonstrate how the decision reflects and responds to Indigenous knowledge, western science and public input in the EA. 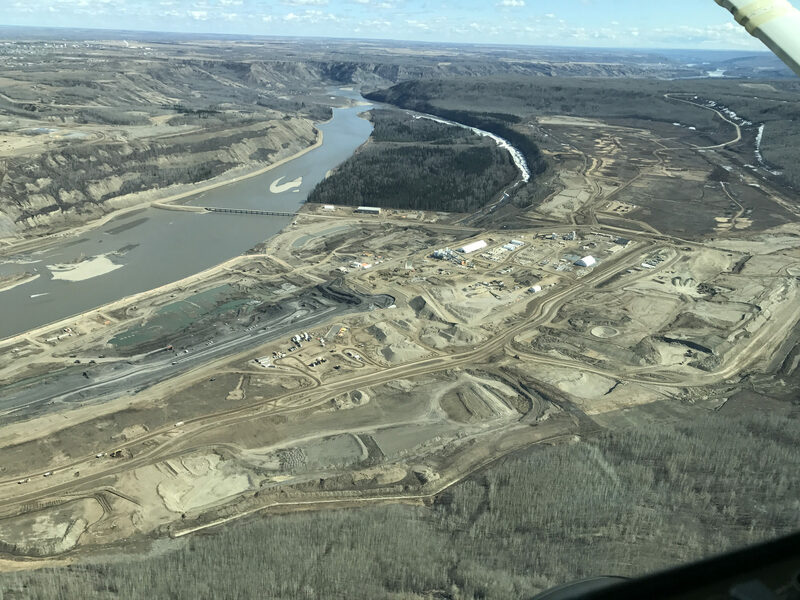 Perhaps the most problematic aspect of the Site C assessment is how the provincial government was able to effectively ignore the recommendations of the Joint Review Panel when deciding to approve the project. In May 2014 the Panel concluded that Site C would have significant environmental and social costs that could only be justified by an unambiguous need for the power, and that BC Hydro had not proven that BC would need Site C’s energy. In October 2014, the provincial government approved Site C. Neither of the issuing provincial ministers provided reasons for their decision, nor did they offer justification for the decision to proceed with the project despite the Panel’s findings of significant adverse impacts and no proven need for the project. In many participants’ eyes, the game was rigged. It’s hard for an assessment process to inspire faith when the resulting conclusions can be so easily ignored by decision-makers, without so much as an explanation. Decision-making in BC’s EA regime is not based on ensuring sustainability. BC’s current EA regime is focused on the question of “how” to conduct an environmental assessment (although it leaves much to be desired in this regard), yet lacks direction about “why”. BC’s EA legislation is silent on the objectives of assessment, including environmental objectives, and provides no criteria or “approval test” to guide decision-makers in making decisions that further sustainability. The problems that arise when EA legislation has no objectives is acutely demonstrated by the lack of legal linkages to BC’s climate targets. While BC has a carbon reduction target of 80% below 2007 levels by 2050, its EA legislation does not require projects to demonstrate how they will be consistent with achieving these goals. As a result, BC has approved projects like the proposed Pacific NorthWest liquefied natural gas project which, if built, would have made it impossible for BC to reach its climate change objectives. Without a clear, legislated climate objective – and criteria for how decisions should ensure that proposed projects will help the province meet that objective – EA decisions may continue to put BC’s ability to meet its climate targets at risk. The same concern applies to the EA regime’s lack of other sustainability and reconciliation objectives, which puts other important rights and values at risk. BC’s EA regime does not recognize Indigenous jurisdiction or meet UNDRIP standards. BC’s commitment in its ministerial mandate letters to “fully adopting and implementing the United Nations Declaration on the Rights of Indigenous Peoples (UNDRIP), and the Calls to Action of the Truth and Reconciliation Commission” will require major changes to the current EA regime, including to ensure that the Crown cooperates with First Nations “in order to obtain their free, prior and informed consent” prior to undertaking development projects on their territories. Many Indigenous leaders emphasize that the implementation of UNDRIP is an opportunity to “reset” the relationship between Indigenous peoples and the Crown – moving beyond colonial ideologies that have marred the relationship in the past, to a basis of genuine equality and mutual respect. To summarize, the BC Environmental Assessment Act is silent with respect to a number of important aspects, such as First Nations involvement in the process, objectives, standards and principles for delivery for the EA process, and methodological content for the conduct of reviews. Additionally, the executive director has a wide range of discretion that is explicitly open to ministerial direction and influenced by government policy mandates. Far from being the independent, neutrally administered, technically robust, transparent and accountable process it needs to be, the Act is constructed to achieve the opposite of these characteristics in its implementation… A significant number of First Nations has lost the confidence in the process. As well as being contrary to international and constitutional legal norms, this has caused extensive and costly legal conflict that serves the interests of no one. BC’s EA regime does not ensure coordination and collaboration among jurisdictions. Experts agree that EAs result in better decisions and reduce conflict when all relevant jurisdictions, including Indigenous jurisdictions, are actively involved throughout every stage of the assessment. While BC’s EA legislation allows for agreements with other jurisdictions to conduct EAs together, it provides very little in the way of incentives, mechanisms and guidance to ensure that BC assessments are collaborative and harmonized with federal and Indigenous jurisdictions. This shortcoming has taken BC in some wildly different and problematic directions. For example, BC thought it could pass the buck on oil pipelines by ceding its EA decision-making power entirely to the federal government on the Northern Gateway project. However, the BC Supreme Court found in a legal challenge by the Gitga’at First Nation and Coastal First Nations that this practice was actually contrary to BC’s EA Act. On the other end of the spectrum, for Taseko’s Prosperity Mine (subsequently revised and renamed the New Prosperity Mine), two disconnected yet simultaneous provincial and federal EAs resulted in opposite conclusions: the federal government rejected the project (twice) due to unjustifiable adverse impacts, while BC approved the same project. The Tsilhqot’in Nation also forcefully rejected the proposal. The cautionary tale of the New Prosperity Mine, and the mess of litigation it has caused, highlights the need for BC’s assessment legislation to facilitate and prioritize collaborative assessment among all relevant jurisdictions. It’s time to seize the opportunity for a new assessment law. British Columbia can and must do better than its current approach to EA. The provincial government’s commitment to reform the EA regime presents a major opportunity to enact new assessment legislation capable of furthering sustainability, advancing reconciliation, and protecting the interests of communities and ecosystems. We’ll be paying close attention in the coming weeks as we await the BC government’s formal launch of its process for reforming EA, because there is a clear need to seize the opportunity for a new provincial assessment law.